Snaebjornsdottir/Wilson featured work from 'Nanoq: flat out and bluesome' at this group exhibition. Exhibition abstract: Late Harvest juxtaposes contemporary art made with taxidermy with historically significant wildlife paintings, resulting in intriguing parallels and startling aesthetic contrasts. The exhibition seeks to simultaneously confirm - through historically-significant wildlife paintings - and subvert - through contemporary art and photography - viewers’ preconceptions of the place of animals in culture. An illustrated catalogue will accompany the exhibition. Featured artists: Richard Ansdell, David Brooks, George Browne, Berlinde De Bruyckere, Petah Coyne, Raymond Ching, Kate Clark, Wim Delvoye, Mark Dion, Elmgreen & Dragset, Carlee Fernandez, Richard Friese, François Furet, Nicholas Galanin, George Bouverie Goddard, Damien Hirst, William Hollywood, Idiots (Afke Golsteijn and Floris Bakker), Alfred Kowalski, Robert Kuhn, Wilhelm Kuhnert, Bruno Liljefors, Polly Morgan, John Newsom, Tim Noble and Sue Webster, Walter Robinson, George Rotig, Carl Rungius, Yinka Shonibare MBE, David Shrigley, Snæbjörnsdóttir/Wilson, Amy Stein, Archibald Thorburn, Mary Tsiongas, Joseph Wolf, Brigitte Zieger, Andrew Zuckerman. 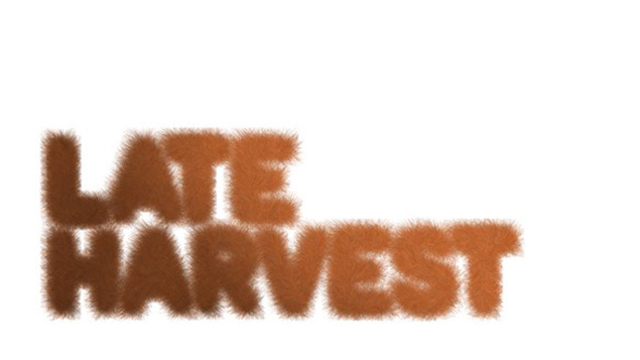 Late Harvest is organized by the Nevada Museum of Art in consultation with the National Museum of Wildlife Art. The exhibition is curated by JoAnne Northrup, Director of Contemporary Art Initiatives, together with consulting curator Adam Duncan Harris, Ph.D., Petersen Curator of Art & Research, National Museum of Wildlife Art.